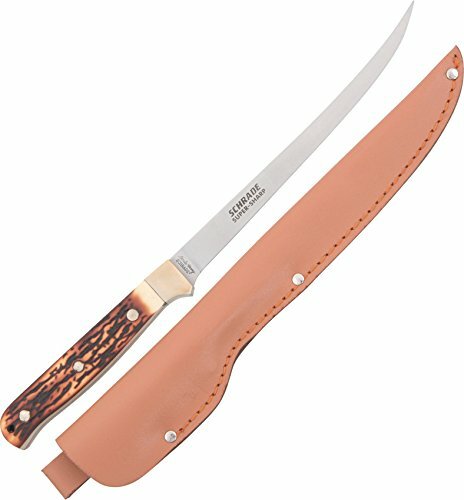 The Uncle Henry Steelhead Fillet Knife is a high quality fillet knife for fisherman that demand more than a generic fillet knife. The fillet blade is Schrade Super Sharp stainless steel with the right amount of flex for cleaning fillets. This great fishing tool comes compete with a genuine leather sheath. Flexible fillet blade of stainless steel. Riveted Staglon handles. Nickle silver bolster. Lanyard hole. Genuine leather sheath inlcuded.